Can you get a rash? 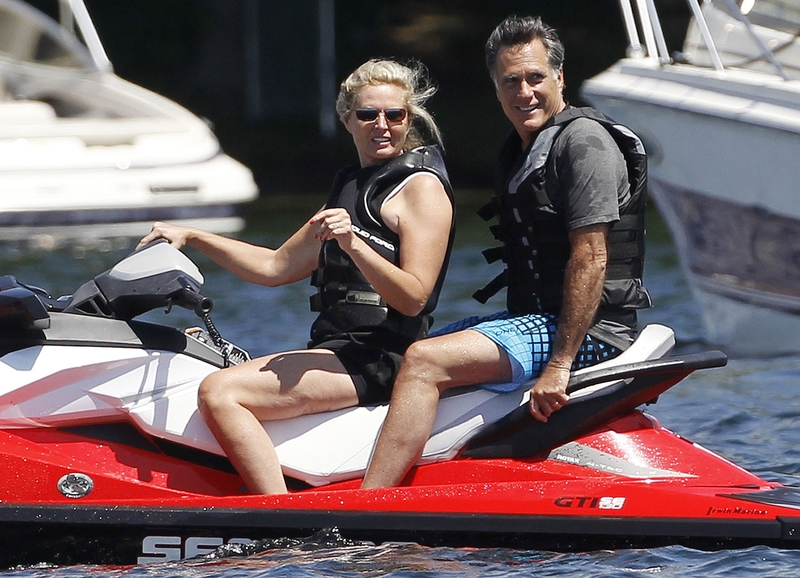 It’s been a long week for Governor Guess-My-Worthiness: Mitt Romney. For those of you too busy collecting a six-figure paycheck for a job you no longer do, this is a reminder that it’s Day Five in “The Hunt for the Real Bain CEO”. Seriously. No one asked him this. Just how big is the crack in the foundation of the fourth estate that when four different reporters interviewed but didn’t ask the founder, CEO, chairman and sole shareholder of Bain Capital, the guy whose name is on the SEC filings, the guy who said he flew back to Boston for Thanksgiving and board meetings, the guy who collected an annual salary, who now claims he was not in charge, the simple question, “Then who the […] was running the joint?”! Only, in a more journalisty sort of a way. Grrr. If only this mysterious CEO was involved in a Bronco chase, or was in a bloody car trunk. Then, even the likes of Nancy Grace would have tirelessly used her manic bully pulpit to get an answer to this one, obvious question. Now to be fair, people did finally start asking it – just not to Romney. And in his absence, we only have answers from surrogates who have done about as good a job of clearing this up as BP has done in the Gulf. GOP science fiction writer, Ed Gillespie, won the Sunday by boldly going where no man has gone before – literally, back in time, by claiming on CNN that Romney “retroactively retired” back to February 1999. And if you haven’t yet drawn blood from clawing at your scalp in a desperate attempt at finding some clarity in all of this, don’t expect to get it from the GOP Pied Viper Rush Limbaugh. You see, Rush went in a totally different direction, and in one fell spew, lost his Comic-con listeners fo-evah by railing against Hollywood for launching a secret attack on Romney by timing the release of new Batman film, The Dark Knight Rises, featuring the villain Bane, as an elaborate plot to demonize Bain Capital. Yes, Rush, yes! In 1992, when these liberal Hollywood commies created the character Bane, they could see into the future (doubling back past Romney’s retroactive retirement) and their single focus was to destroy the GOP 2012 candidate for president. Garbage in. Garbage out. Can you get a rash from rubbing up against this much idiocy? Now, clearly, these are examples of people willing to spout these indefensible Mitterings because they love being on TV more than they love their dignity. But … there has been a break in the GOP ranks when it comes to Romney’s pesky tax returns problem. Of course, it’s hard to understand how you can, on the one hand, justify his sketchy Bain tenure, and on the other, demand his tax returns when they very well might reveal he was active, retroactive, proactive, retrofitted or whatever other incarnation of “active” or “retro” one could be when it comes to talking about your role at the corporation you founded and in which you hold all the shares. Stop scratching your head! It will scab up! Yes, some of the conserverati – like Bill Kristol, Ron Paul, Rick Perry, Newt Gingrich and many others – are calling for the tax returns to be released … but in a kinder, gentler way that they did a few months back. But the Offshoreman is not budging. He claims he has already released 500 pages of tax returns, which should be enough. Problem is, those 500 pages are not tax “returns”, but one return. One, 500-page return. From a year that no one really cares about. Quantity does not equal quality, Mitt. Did I just say that to him? What’s the big whoop? How bad could they be? It’s not like you are being pressured to release your high-school diaries, where maybe you scribbled your fantasies about getting to college so you could dress up like a state trooper and pull unsuspecting women over in their cars for fun.They couldn’t be as embarrassing as all that, could they? ‘Cause that would be reeeallllllllly embarrassing. Look, Mittsy. All the people who feel they have to earn the presidency have released plenty of returns, 8, 10, 12 years’ worth. Heck, your own dad released 12 years of tax returns when he ran for president. Wait. Maybe, that’s it. Dude, not releasing your tax returns is a super boring way to rebel against your dad. Why not just give us the goods – or we are all gonna have to go on the one thing we know for sure. That you released 23 years of tax records to John McCain in 2008, when he vetted you to potentially be his vice-presidential running-mate. At some point, after reading them, he decided Sarah Palin was the better choice. So, if you don’t show us, we are going to keep thinking there’s something in those returns you don’t want us to see. You betcha.